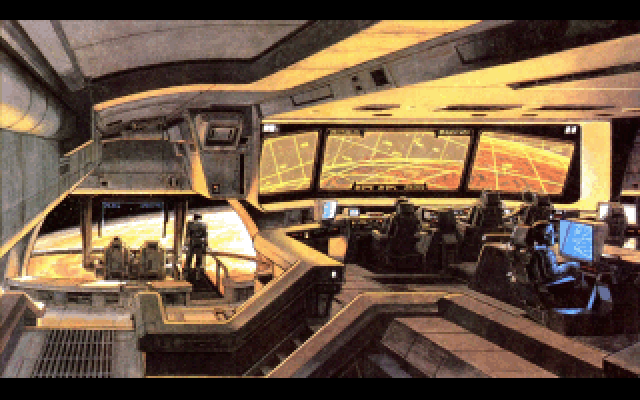 Greg Johnson drew some inspiration from a concept drawing from the movie Aliens depicting the bridge of the Nostromo. Greg's image has some ties to the game Starflight. 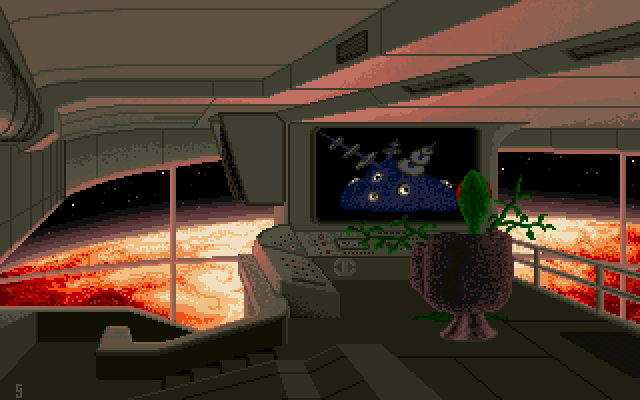 The two aliens that are visible here are also present in the game and the Starflight logo can be seen on the bottom left of the computer console. The image itself doesn't appear in the game but Greg did some graphics for Starflight which explains the similarities.